I just sent out a newsletter to 10,000 people on my mailing list. Some of those people have been on that list since I first started in this biz, back in 2003. One of the first rules of marketing is know your audience. It is not the best technique to send an email soliciting orders for Amazon and their related products to Independent Bookstores. This is not the way to win friends and garner bookseller support. Knowing that you are putting your personal efforts into Amazon guarantees that your titles are special order upon request only for my store. Fair enough. I appreciate the response. I also understand it. But I'm pretty sure this bookseller doesn't understand me. Or the majority of authors who are self-publishing. I considered replying, but don't see how any good could come from it. She owns a bookstore. She competes with Amazon. She doesn't want to get email from authors who publish through Amazon. If I reply, even graciously, I don't see a way to mend the broken fences she perceives. Which is a shame. Because I want her store to thrive. And I'd like to help her bookstore thrive. But because I publish my paper work via Createspace and Thomas & Mercer, indie bookstores don't want to have anything to do with me. This is disappointing. I've always loved bookstores. I’ve signed at over 1200 bookstores in 42 states. I’m pretty sure that’s more than just about any other author. Then my publisher dropped my series. Amazon picked the series up, which allowed me to have a real career in this biz. Since working with Amazon, I’ve sold over 2 million books. Yet, even though I have a lot of fans, the majority of independent bookstores refuse to stock my paper books. Because of my relationship with Amazon. Because they believe I'm a traitor, who has sided with their enemy. It reminds me a lot of professional sports. Being from Chicago and growing up a Bulls fan, our biggest rival in the 80s was Detroit. The Pistons' Dennis Rodman was the king of all jerks, constantly committing cheap shot after hard foul. What an asshat. Until he was on our team. Then he was awesome. For us. Once he moved to Chicago, he lost a lot of Detroit fans. Detroit shouldn't blame Rodman for the move. The Worm went where he had to go, in order to continue playing. He didn't betray the Motor City for the Windy City. He did what was best for his career. Right now there are tens of thousands of indie authors. They'd love to be stocked in your bookstore. They'd love to do signings. They're selling very well as ebooks, and I can guarantee some of them would sell well in paper, to your customers. But first you have to give them a chance. And to do that, you need to stop blaming them for their career choices. That above email said my books would only be ordered upon special request in her store. I'd bet good money they weren't stocked in the first place. The above email also took me to task about one of the first rules of marketing. Well, what is one of the first rules of retail? Isn’t it stocking items that customers want to buy? In my novel DIRTY MARTINI, I thanked over three thousand booksellers, by name. But once I signed with Amazon, these booksellers considered me the enemy, and refused to stock my books. Is that the way to compete with Amazon? By driving your customers to Amazon.com because they can't find what they want at your bookstore? Years ago, I made an offer to indie bookstores. That offer still stands. I'd love to work with you. I'd love to help you make money off of my work. Remember why people shop indie. You probably got into this business because you love books. And your customers keep coming back because of your knowledge, recommendations, suggestions, and carefully curated selection. Well, there are over a million books, written by tens of thousands of authors, that you aren't able to recommend or sell to your customers, because they're self-pubbed and Amazon-pubbed and you won't stock them. Your customers missing out on reading new authors, and you're missing out on those sales. The shadow industry of self-publishing is growing, while legacy publishing shrinks. And now there are rumors that Amazon is going to start opening bookstores nationwide. If you sell indie books, you can beat them to the punch. Hold author events. A booksigning still draws readers. But you need to give people a reason to attend other than just a signature. Perhaps an exclusive short story from that author, free to everyone who buys a book. Perhaps a $30 admission includes a book, coffee, a signed t-shirt, plus an ebook download. Give your customers something they can't get elsewhere. Start publishing. If you're an indie store beloved by authors, ask those authors for a story to put into an anthology, which you can then publish in print and as an ebook. Or ask favorite authors with out-of-print backlists if they'd like to partner with you to re-release those books. Amazon became a publisher. Why can't you? I have over twenty book-length works available. If you'd like to publish any of them and sell them out of your store, contact me. I'll give you an 85% royalty, send you my already formatted interiors and covers, and you can print and sell as many as you'd like. Or I can do the printing, and ship them to you signed, and give you the same 40% discount the major NY Publishers give you per book. And I'm just one author. Imagine doing this with a hundred authors. Your own imprint, selling books the chains don't sell, signed copies that Amazon doesn't sell, for a higher profit margin than you get anywhere else. Nobody wants to see the Indies disappear. There is a tremendous opportunity here, but it starts with taking the emotion out of how you view self-published authors and looking at it with an eye to what customers want. What they want hasn't changed. They want your advice about which books to read. Joe sez: I wrote that blog pose five years ago, and it's still ahead of its time. Not a single bookstore has taken me up on my offer. But they're more than happy to email me about my lack of marketing savvy. I noticed an Amazon trend a few months ago. Some third party indie publishers were creating Kindle bibliographies for bestselling authors who had a lot of titles. I thought it was interesting, but probably not necessary. Amazon makes it pretty simple for readers to find books. Why should readers have to buy an ebook to get a list of ebooks to buy? But more and more of these bibliographies began to pop up. I took a closer look at the trend, and realized why. Amazon customers were searching for series titles in order. So to find them, they would type in something like "JD Robb series in order" or "Nora Roberts series" or "JD Robb books chronological". If you search for any of those, you get four different bibliographies by different publishers offering their $0.99 checklist of JD Robb/Nora Roberts titles. So I had myself a think. I have two pen names--Jack Kilborn and Melinda DuChamp. I operate under the assumption that most of my ebooks are bought and read by readers who haven't heard of me (or my pen names) previously. They're browsing, find a title, and buy it. If they like it, the hope is that they'll seek out other titles. One way I do this is to have a bibliography in the back of my ebooks. But this is problematic; links are tied to a specific region, like the US or UK or Canada, so I haven't been using links, just a static list. This makes it harder for readers to instantly buy one of my other titles (every step introduced between the desire for a purchase and the actual purchase loses some potential customers). It's also problematic when, like me, you have 60 ebook titles with more coming out every year, which requires updating the bibliography in every single title. Maybe readers who try me and like me will Google me and find my website. But that takes an extra step. More likely, they'll search for me on Amazon, perhaps with the term "JA Konrath series in order", and maybe they'll start the series from the beginning. Or maybe they won't. Or maybe they'll miss a title. Or maybe they'll give up in frustration because it isn't immediately apparent to them which books of mine tie in together, and the order they should be read in. So I published this, for free on Amazon. "J.A. 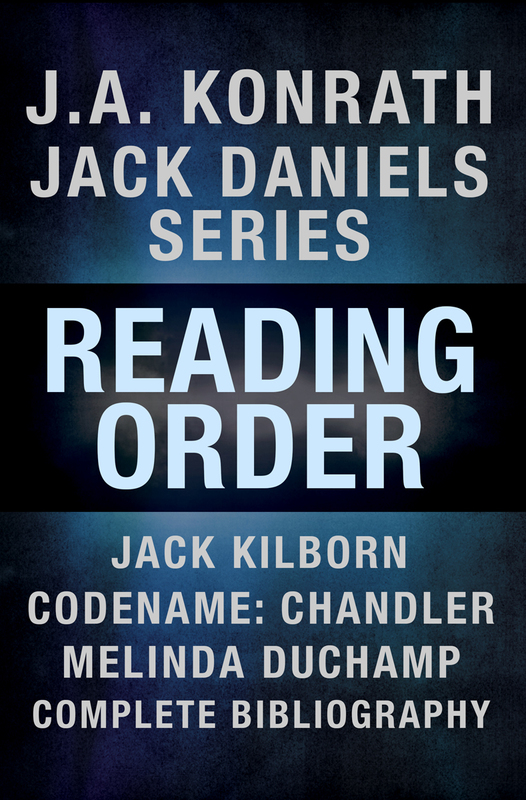 Konrath Books in Order: Jack Daniels Series in Reading Order, Jack Kilborn, Codename: Chandler, Melinda DuChamp, Complete Pen Name Chronological Bibliography". I also made free downloads available in my website, as Kindle and pdf files. 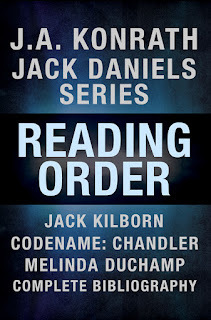 The Reading Order ebook has links in it, to make it very easy for readers to immediately download any of my titles, in order. Q: But Joe, earlier you said that was a problem, because links are tied to a specific Amazon store. What if an Amazon.ca reader downloaded the book? Does your ebook have links for Canada too? Joe sez: Sort of. I took a shortcut. There's a very cool, and free, service called Booklinker.net. You put in an Amazon link, and you can create your own URL. That link is clicker specific. If you are from Canada and shop at Amazon.ca, it will take you to the RUM RUNNER Amazon page in Canada. If you are in England, it'll take you to Amazon.co.uk. And so on. Pretty cool, huh? So rather than have a gazillion links for each ebook title, I only have a single, Booklinker link. 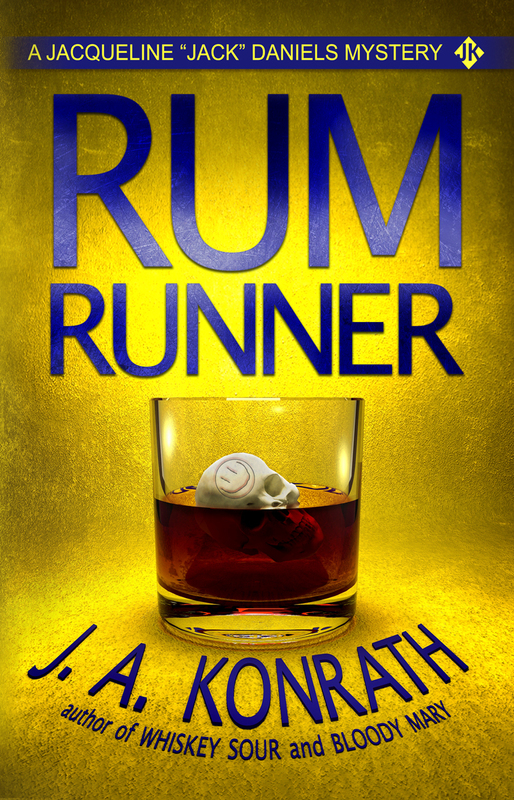 BTW--if you haven't pre-ordered RUM RUNNER yet, please do. Q: Okay, so you've got a bibliography, and it has links for all of your ebooks at all Amazon stores worldwide. But how did you make it free? Does Amazon allow free ebooks? Joe sez: No, Amazon doesn't allow freebies. But it does price-match with other retailers who do offer freebies. So I used the fine services of Draft 2 Digital. In about ten minutes, I set up an account and uploaded the READING ORDER ebook as a free ebook, and D2D distributed it to Apple, Kobo, Scribd, Nook, and Inktera, and they all went live within 24 hours. It was fast, simple, and free to do, and the D2D folks were accommodating and responsive. I also created a Google Books account and uploaded it there, also for free. Then I went to me Amazon page for the READING ORDER ebook and clicked on tell us about a lower price at the bottom of the Product Details section. I started this on February 2. Once a day I'd tattle on myself, clicking on that link and reporting the free links from Apple, Nook, etc. Six days later, Amazon price-matched my book, so it is now free. Amazon.co.uk and Amazon.ca aren't free, because first I wanted to see how the US experiment went. But now I'm doing the same thing with those stores, and I expect they'll be free soon. All in all, not too much work. A few hours at most to compile the book. I paid 52novels.com to do the formatting, and Extended Imagery to do the cover, so there was a cost involved. Q: Was this effort worth the time and cost? Joe sez: I have no idea. I saw a trend. It made sense to follow it, because I understand why it's happening. Aggregation is a form of information, and it has value. So much value that some readers are willing to pay for compiled information that they could otherwise get for free. Amazon is very good at collecting data, and very good at recommending books to readers. But there are many ways to skin a cat. The fact that these "reading checklist" books seem to be so popular shows that some readers want aggregation in ebook form. I've even seen some ask for pdf form, to print out. Why miss an opportunity to connect with fans and potential fans if this is how they prefer to find you? Media industries are filled with cautionary tales about companies not listening to customers. One that springs to mind is Napster. Rather than study and learn from consumers who were trading digital files, they tried to shut it down with lawyers and cries of copyright infringement. As a result, Apple--a computer company--is now the biggest music retailer in the world. If the record companies had listened to what consumers wanted (easy to download digital files) they could have made billions. If some readers want a handy ebook checklist to make sure they get all of my work, it makes sense to give it to them. My approach seems like the best way for me to give it a go. It works for all Amazon stores, it will allow new fans (and longtime fans) to easily find and read all of my ebooks in order, and it should be easy to maintain and update as I release new titles. But if anyone has any suggestions or better ideas, I'm all ears. Visibility and discoverabilty seem to be the biggest hurdles for authors to overcome. Remember, sales isn't about selling something to someone who doesn't want it. It's about informing people who are looking to buy the type of things you're selling. You want readers to be able to find you in as many ways as possible. And once they find you, you want to make it as easy as possible for them to read you. Every extra step they have to take--even if it's just one extra click--will lose you some customers. If someone likes your kind of books, you should be very easy to find and acquire. 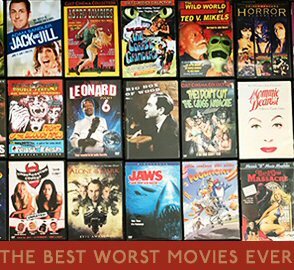 If you have more than twenty titles, that might mean you should consider a reading order checklist.